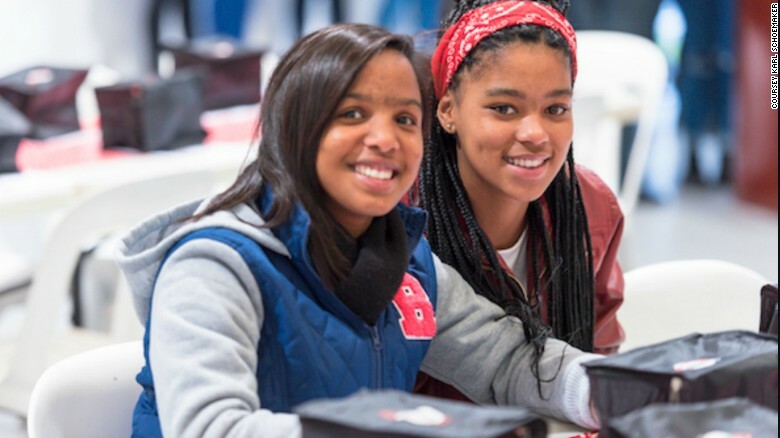 They may be teenagers, but 17-year-old Brittany Bull and 16-year-old Sesam Mngqengqiswa have grand ambitions — to launch Africa’s first private satellite into space. 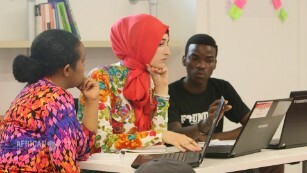 Using the data transmitted, “we can try to determine and predict the problems Africa will be facing in the future”, explains Bull, a student at Pelican Park High School. 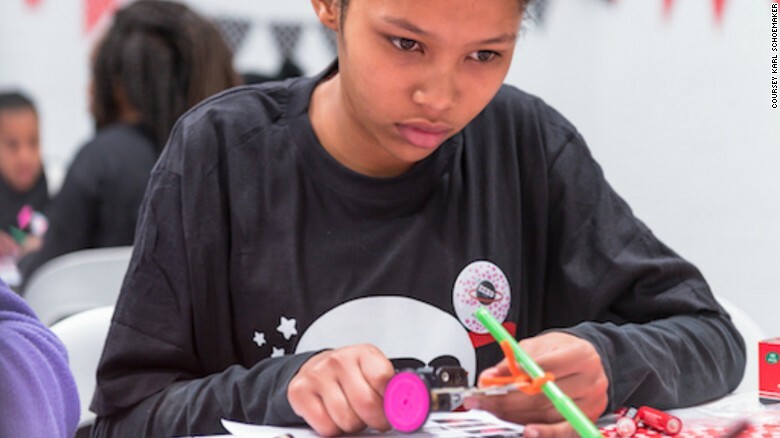 South Africa’s program aims to encourage girls into STEM, particularly astronomy. 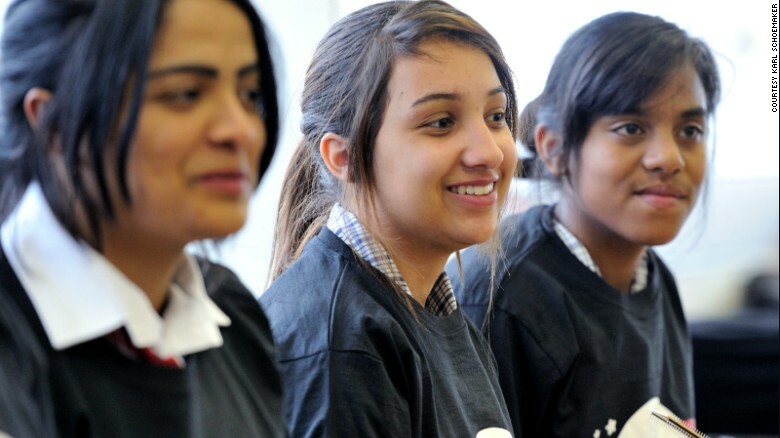 Less than 10% of young women are interested in STEM subjects. Africa has been slow to embark on space travel. But new projects on the continent look promising. South Africa’s ambitious Square Kilometer Array project aims to build the world’s biggest radio telescope that will help scientists paint a detailed picture of some of the deepest reaches of outer space. The girls (14 in total) are being trained by satellite engineers from Cape Peninsula University of Technology, in a bid to encourage more African women into STEM (science, technology, engineering, mathematics). If the launch is successful, it will make MEDO the first private company in Africa to build a satellite and send it into orbit. By 2020 80% of jobs will be related to STEM (Science Technology Engineering and Mathematics), MEDO predicts, but currently only 14% of the STEM workforce globally are women. An El Niño induced drought led to a shortfall of 9.3 million tons in southern Africa’s April 2016 maize production, according to a UN report. South Africa is expected to import between 3 million and 4 million tonnes of maize to meet itsshortfall this year. “It has caused our economy to drop … This is a way of looking at how we can boost our economy,” says the young Mngqengqiswa. The girls’ satellite will have a detailed vantage point of South Africa’s drought crisis which led to a shortfall of 9.3 million tons in southern Africa’s April 2016 maize production. 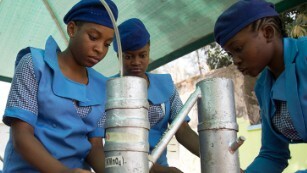 Initial trials involved the girls programming and launching small CricketSat satellites using high-altitude weather balloons, before eventually helping to configure the satellite payloads. Small format satellites are low cost ways of gathering data on the planet quickly. Tests so far have involved collecting thermal imaging data which is then interpreted for early flood or drought detection. “It’s a new field for us [in Africa] but I think with it we would be able to make positive changes to our economy,” says Mngqengqiswa. Ultimately, it is hoped the project will include girls from Namibia, Malawi, Kenya, and Rwanda. Mngqengqiswa comes from a single parent household. Her mother is a domestic worker. By becoming a space engineer or astronaut, the teenager hopes to make her mother proud. “Discovering space and seeing the Earth’s atmosphere, it’s not something many black Africans have been able to do, or do not get the opportunity to look at,” says Mngqengqiswa.